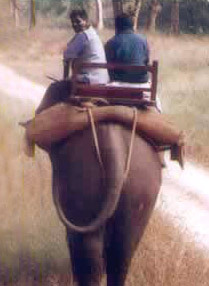 The etymological derivation of the term Palamau is the land of the Palas and Mahua. Covering an area of 8,705 sq. km, Palamau District lies within the 23° 50' and 24° 8' north latitudes and 83° 55' and 84° 30' east longitudes. The district is bounded on the north by river Son, on the east by districts of Chatra and Hazaribagh, while Latehar District and Garhwa District flank Palamau on the south and west, respectively. With a total population size of 1,16,549, the inhabitants of Palamau blessed with a fertile topography depend upon agriculture, forestry and livestock rearing for their subsistence. Some people are also engaged in the adjacent mines. Palamau District endowed with a lush topography; imperial Sal forests and congenial ambiance attract flocks of tourists. The district is bounded on the North by the Nawada district of Bihar, on the south by Hazaribagh district of Jharkhand on the east by Giridih district of Jharkhand and on the west by the Gaya district of Bihar.Koderma district lies in the Chhotanagpur Plateau. PALAMU WILDLIFE SANTUARY, PALAMU FORT OF SRI MENDIN RPY, BETLA NATIONAL PARK, Upper Ghaghri water Falls, Lower Ghaghri water Falls, Lodh Falls, Old Quila and New Quila fort. 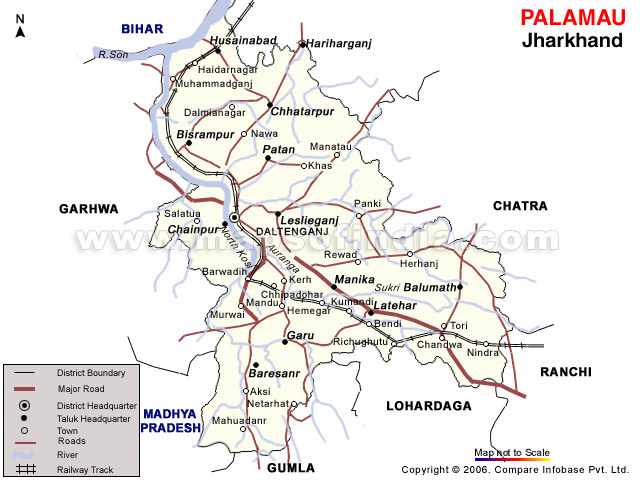 Air : Nearest airport: "Ranchi",Well connected by Indian Airlines services with Kolkata,Patna,Mumbai and New Delhi. BETLA NATIONAL PARK: Betla is most important tourist place of Jharkhand having luxiuriant Sal and miscellaneous trees and bamboo forests. 226 sq. km. 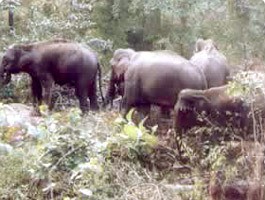 Of Betla forest has been declared as Betla National Park and 753 sq. km. Of forest has been declared as Palamu Sanctuary. The forest starts from Kechki and extended up to Neterhat. The forest has 970 species of identified plants, 174 species of birds, 39 species of Mammals, 180 species of Medicinal plants, besides reptiles and other species. The main wild animals found are:-Tiger, Leopard, Elephant, India Gaur (Bison), Chitalor, Sambher, wild boar.There are two elephants are available at Betla for tourist to get around the reserve to see the wild animals. 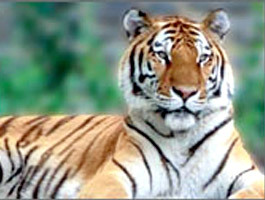 PALAMU TIGER RESERVE: Palamu Tiger Reserve is very rich in biodiversity and various wild life species have been included in Red data book of the I.U.C.N. (International union for Conservation of nature and neutral resources) and the appendices of C.I.T.E.S. (Convention on International trade in Endangered species of flora and fauna). 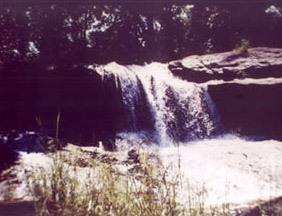 UPPER GHAGHRI WATER FALLS: 4 kms from Netarhat and a unique picnic spot. Inside a beautiful valley the over flown water o Netarhat Dam makes a very loving small waterfall. LOWER GHAGHRI WATER FALLS:Situated at a distance of 10 kms from Netarhat in lush green and pass through the forests of a poet's imagination-deep, dense and delighting. 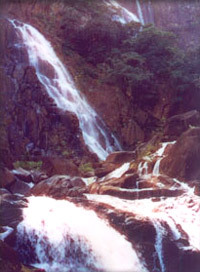 On reaching there witness the stunning fall of water deep down to about 320 feet making a majestic waterfall. The forest is so dense that even sunrays find difficult to pierce through it. forest. A place of scenic beauty and picnic spot. LODH FALLS: About 60 kms away from Netarhat deep in to the forests the river Burha makes a fantastic and majestic water fall of about 468 feet height claiming to be the highest waterfall of Jharkhand. The thundering sound of the fall is audible even 10 kms from it. The spectacular sight of the fall explains the profundity and greatness of the nature. water falls from a height of 468 feet. SHAHPUR: Shahpur is opposite Daltonganj on the west bank of the Koel is the village SHAHPUR in which Gopal Rai, the Raja of Palamu built a palace in the end of the 18th century. Shahpur stands on a high tract of land and the ruined place, the white temple and the masonry building present a picturesque view from Daltonganj. A nearer view of the palace is disappointing for what looks in the distance like an imposing edifice is seen to be half- finished building of little architectural importance. Copyright © 2011 Jharkhanddarshan. All rights reserved.